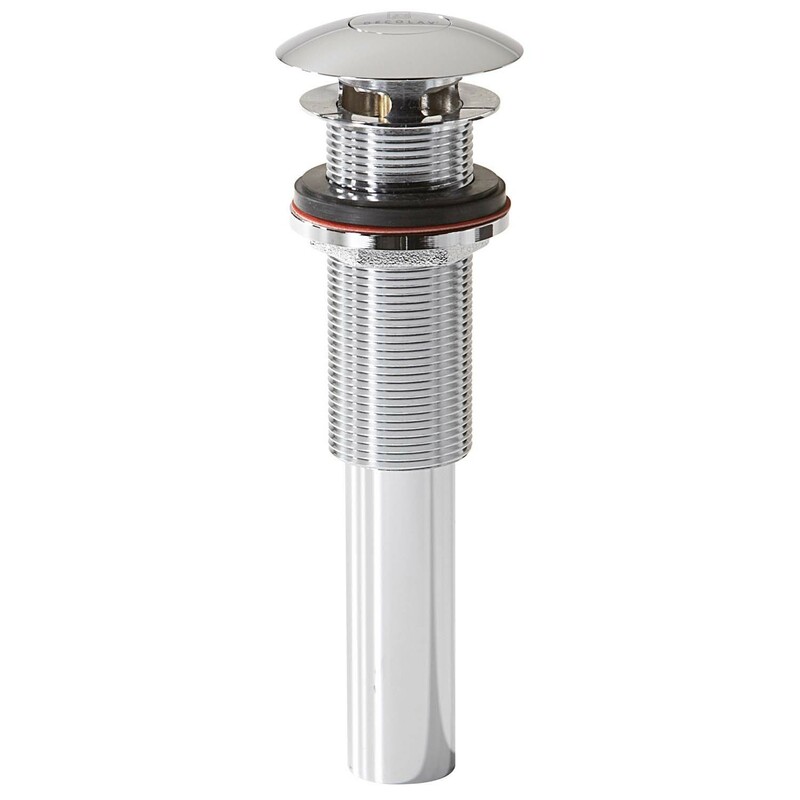 DECOLAV'S Push Button Closing Umbrella Drain Without Overflow is a decorative alternative for a non-closing grid drain. The cap discretely conceals drain holes. Our patented drainage channels offer faster outflow over comparable models.